Give people on your team jobs that feed their passions. When we feed people jobs that refuel them, it allows them to enjoy the process and have fun doing their work. Change things up for your team as often as you can. One of the most fun things about being on the creative team is the adventure found in creating. Change up meetings, seats, and spaces—whatever it takes to shift things around. Keep things fluid so there is flexibility for fun. Sometimes the best thing we can do is stop and eat. Grab your team and get away from the office. Go some place fun and eat together as a team. You will be amazed how this changes the dynamic around work, builds relationships, and creates experiences. It’s in these experiences you find a lot of fun. Sometimes as a team, we have to just walk away. When we get bogged down, we stop having fun. As a team leader, if you find that your team has stalled, walk away from the project for a little while or so you can get back on track. Sometimes getting away from work actually restores the fun of doing the work. This sounds clinical, but it works. Schedule some time to have fun. At Cross Point, we schedule quarterly retreats together to have fun. We spend the night at a cabin and work for a little while. Then we play the rest of the time we’re there. Maybe you can’t get to a cabin, but I bet you could get to a museum or a movie. Schedule some time to have fun as a team. We celebrate together. We plan a couple of parties and conferences we attend each year. We cook out in the summer as a team, we have an annual Christmas party, and we love to go to a conference to refuel together. There are few things more fun than a road trip. At the least, take a day every now and then to work off-site. Your environment matters. Let’s be honest. Few people enjoy a funeral, but everyone loves a party. Create a work environment that promotes fun and creativity. Make sure your environment is full of music, lighting, and color. Allow your team to put their fingerprint on the space so they can feel a level of ownership. Champion people when they win, and protect them when they lose. Making teams feel great about their wins really promotes a fun environment. Keep vision in front of your team because we find fun when we’re part of something bigger than ourselves. TREAT EVERYONE FAIRLY, BUT NOT THE SAME. Your team is full of individuals. Treat them as such. Everyone gets treated fairly, but not everyone gets treated the same. Some people need an extra day off. Others need a gift certificate to a movie. Treat your team fairly or you will lose them, but don’t treat them the same. You hired unique and individual artists for a reason. Fight to keep them that way. We have to be intentional with our teams. We have to fight to keep it fun. 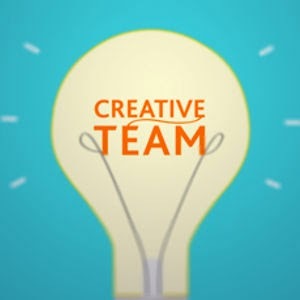 Fun in the creative process is intentional and without it, we’ll lose our teams. So go create something awesome today and have some fun doing it! The above article was written by Stephen Brewster.